Paraguay used to be a household name among avid travelers. Over the years however, it seems that it has been overshadowed by its neighbors, Argentina and Brazil. Paraguay is slacking in tourism behind these modern South American countries because of its slow urban development. Even so, now is actually the perfect time to travel to Paraguay while the country is still rural. Yes, the fact that Paraguay is still considered a rural country is the main reason why you should go there now. 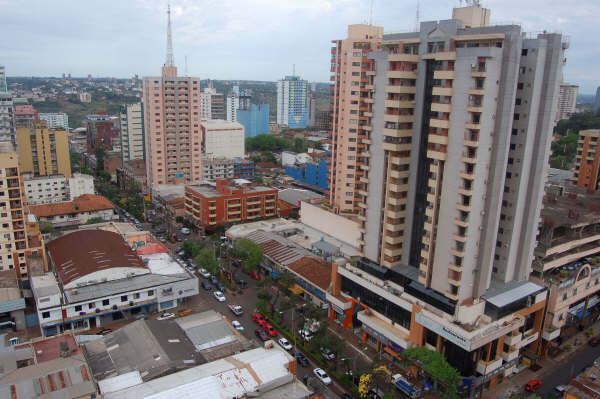 With a lot of South American countries building high rise structures and skyscrapers, it would be comforting to find a country such as Paraguay. A country that remains unchanged despite modern times. Paraguay is actually quite a charmer in this sense. Just imagine going back to a South American country and still see the same things you saw during your first trip there. It would be an overflow of nostalgia. Paraguay has a country feel to it. It has these large ranches located on the countryside. A few good rural sites to visit include Estancia Cerro Leon, Estancia Don Emilio, Estancia Golondrina, and Estancia La Lilia. These sites are mainly used for livestock and agriculture although they’re also open for tourists to explore. There’s not much to see in Estancia Cerro Leon but it is near two of the country’s best attractions, Cerro Leon and a Franciscan Church called Pirayu. The ranch is also conveniently located near the historic site where Marshal Francisco Solano Lopez camped for the locally renowned War of the Triple Alliance. Estancia Don Emilio covers 1,000 hectares of natural forests in the city of Coronel Oviedo. Nearby attractions include Rio Tebicuarymi, the Yataity Town, and the Ybyturuzu Nature Reserve. The rural site is home to the Ypeti Nature Reserve and has a diverse animal and plant species unlike any other estancia in Paraguay. Guided tours of Estancia Golondrina will take you through meandering groomed trails. There’s a lot to see at Estancia La Lilia, like the Museum Camp and Madama, a stream recognized for its crystalline waters. You can take a tour of the Museum Camp or bathe in Madama’s cold water if you wish.